Hystory Drops New Music Video "Bumpin In My Ride"
St. Louis rapper Hystory and his #StepOrGetLeft team have been hard at work the last few months. His latest installment "Bumpin In My Ride" keeps up with the pace, and you get to see Hystory and his crew do what they do best. 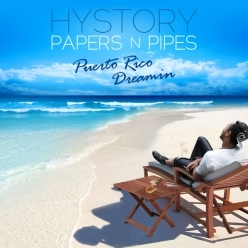 Make sure you download his sophmore mixtape "Papers N Pipes: Puerto Rico Dreamin" dropping exclusively on FLUX9 April 20th! Catch the video after the jump! Sidenote: If you live in St. Louis, come to the show April 28th at 2720 Cherokee!